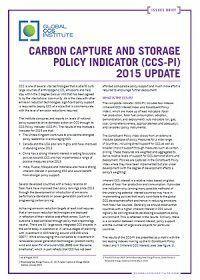 The report presents findings associated with the possible inclusion of carbon dioxide capture and geological storage (CCS) within the Kyoto Protocol’s clean development mechanism (CDM), and the potential repercussions this could have on the global regulated carbon market. In order to achieve this, it examines the effects of creating additional certified emission reduction (CER) 'offsets' from CCS activities to the pool available for compliance by Annex B Parties to the Kyoto Protocol. The study also considers implications for 2020 in order to gauge potential market effects of CCS in any future, yet-to-be-agreed, post-2012 international carbon trading mechanism.